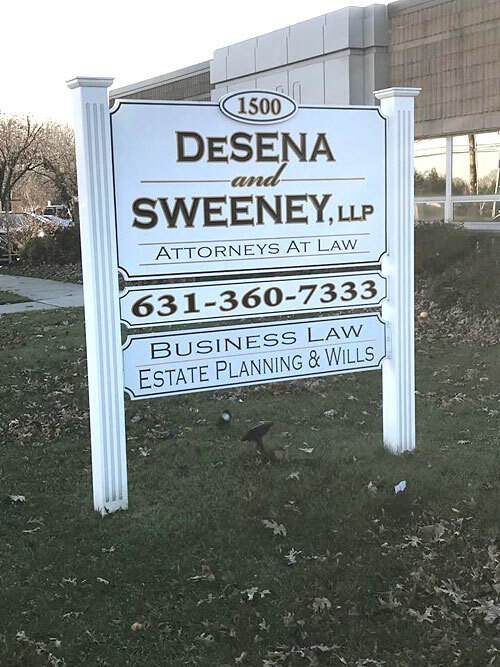 DeSena & Sweeney, LLP was established in the year 2000 by Robert P. Sweeney, Esq. (formerly the Managing Attorney of State Farm's in-house counsel operation) and Louis J. DeSena, Esq. The firm has grown over the past few years, currently staffing nineteen (19) attorneys and an additional office location in Mineola, NY. Our firm specializes in litigation defense work for insurance carriers as well as self-insured clients in the architectural, trucking, elevator maintenance and the construction industries. We handle cases from major insurance companies, corporations, third party administrators, and private entities including State Farm Mutual Automobile Insurance Co., State Farm Fire and Casualty Co., Sedgwick Claims Management, York Risk Services Group, AssuranceAmerica Insurance Co., Gallagher Basset, ESIS ProClaim Risk Management, YRC Worldwide Inc., the NYS Liquidation Bureau, and Ironshore Insurance Company. Our experienced staff handles all aspects of negligence defense matters and trials, coverage issues, opinions and litigation, declaratory judgement actions, arbitrations, premises matters involving home owners and commercial property, and first party (No-fault and UM/SUM) matters. We have litigated cases involving Labor Law, bankruptcy cases involving core issues of copyright infringement and contract matters, property and title disputes as well as tort actions in Federal Court. The firm works with virtual paperless files utilizing advanced means of wireless communication, Internet and case management software. Our systems are state-of-the-art in case management and file security. Our attorneys average over twenty (20) years of experience in trial work in the five (5) boroughs of New York City, Nassau and Suffolk Counties, upstate New York and Federal Court. We provide a focused and tailored approach to all facets of motion work including threshold/serious injury and liability summary judgment motions. We have argued various matters before the Appellate Division of the Supreme Court for the Second Department. We can tailor litigation programs to fit your needs, including reporting and billing requirements. Our fee schedules and rates are tailored to meet your needs of controlling litigation expenses without compromising the quality of the defense of the client while developing a long-standing relationship with our firm. We can work with you to develop litigation programs that meet your needs in a particular venue or entire region.